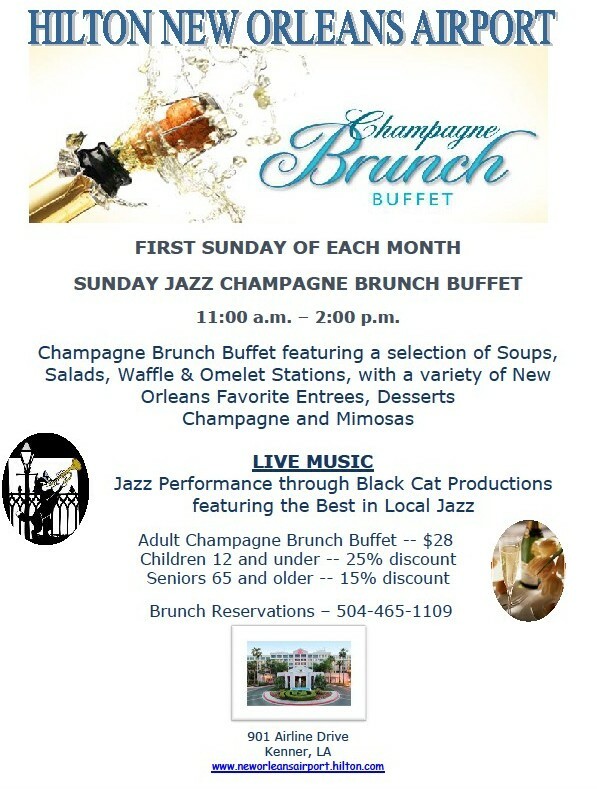 Mike Yenni, Mayor of Kenner, will be attending the Sunday Champagne Jazz Brunch at the Hilton New Orleans Airport in Café LaSalle on Sunday, August 5, 2012 for 11:00am. Mayor Yenni will say a few words during brunch. Live Jazz Music provided by John Warren. Mike Walker, General Manager, is an active member of the Mayor’s Counsel of Economic Development and has developed the brunch as a gesture of his commitment to economic development and serving the community.